Author: Herriot, James Set In . . .
James Herriot lived and worked in North Yorkshire, England, for over fifty years, first and foremost as a vet, but in his later years as one of the world's most successful authors. 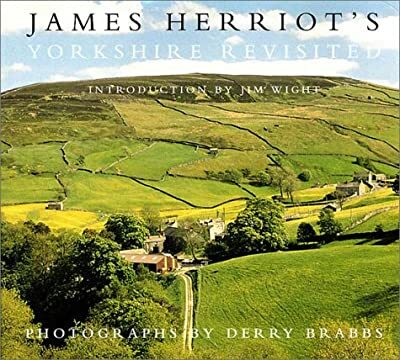 Twenty years ago, the bestselling book, James Herriot's Yorkshire combined hundreds of color photos with a moving essay highlighting the places he loved so much - from the lush valley meadows in the springtime to the remote villages during the depths of winter. Now, two decades later, the Herriot estate has authorized the creation of a new book on Yorkshire that matches the original in both charm and grace. Complete with an introduction by James Herriot's son, Jim Wight, James Herriot's Yorkshire Revisited brings together never-before-seen photos with evocative excerpts from Herriot's eight major works.